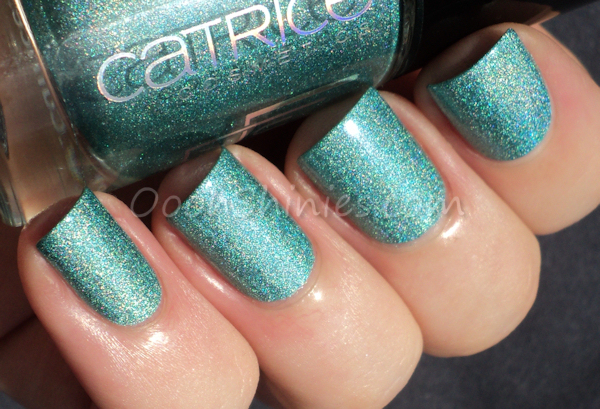 Morning all, a while ago I posted the preview of the Catrice Luxury Lacquers, and I was really looking forward to getting my hands on a bunch of those! But unfortunately the girl in the store had no idea what I was on about, and kept claiming there was nothing coming up, bladibla, and after checking for them a bunch of times I gave up for a while. Maybe I was unlucky and my store wouldn't get them? My swatches are with Make Up Store Aqua Fix as basecoat, 2 coats of polish, no top coat. These polishes applied great, but the holo effect was quite camera shy. 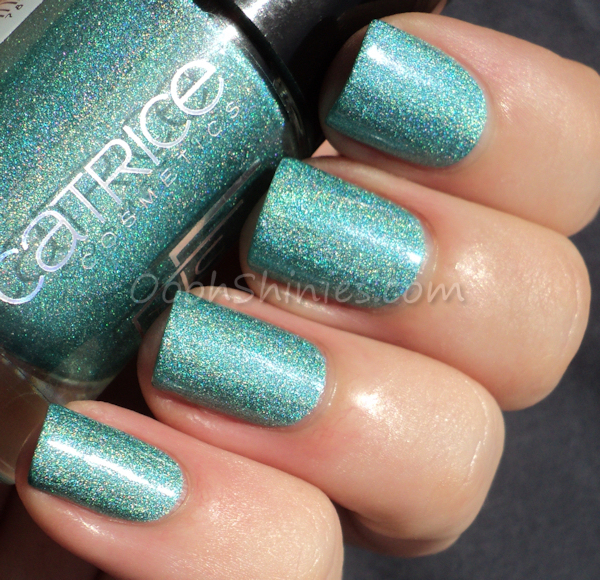 They're no crazy in-your-face holo to begin with, but the effect is more obvious than my pics show. The somewhat blurry pic below shows the effect a bit better, very happy with this lovely light blue! Catrice Plum Me Up Scotty. This one was the hardest to capture, I tried in sunlight, lamplight, daylight... You'll just have to trust me that it's more holo :) It's a pale lavender holo, not my favorite color of these 3 but a nice one nevertheless! The other 3 polishes that I took home are from the Sand'sation part of the Luxury Lacquers Limited Edition, there were a few more I would've loved to see irl, but at least I got 3 of them now and they're great too. I really like this LE, and that I got them on for sale prices made them even better, haha!